Work closely with a Physical Therapist to get you back on the run as soon as possible! Choosing physical therapy first can often help you recover faster and for less expense. In most cases, you can choose to come directly to physical therapy without a referral. Education, exercise, and hands on care are three essential components to physical therapy at Performance Therapies. Take the first step to starting physical therapy. Education is the key component with all treatments. Understanding why you are experiencing pain and where it is coming from are essential to helping you reduce pain and dysfunction. You may come into therapy with shoulder pain, but during the examination we will look at your whole body and how it works together. Joints and muscles above and below the area of your injury may be contributing to your pain. Your physical therapist will prescribe exercises to be done at the clinic and at home designed specifically to your condition and will improve mobility, strength and coordination. These exercises are essential to your therapy success. Through better movement, ergonomics, and understanding, your pain will be greatly reduced and your lifestyle greatly improved. In addition, physical therapists may use their hands to mobilize joints, stretch and perform soft tissue work. Restoring proper muscle and joint flexibility is essential to restoring pain-free function so you can feel your best. We look forward to working with you at Performance Therapies to help you achieve your goals. 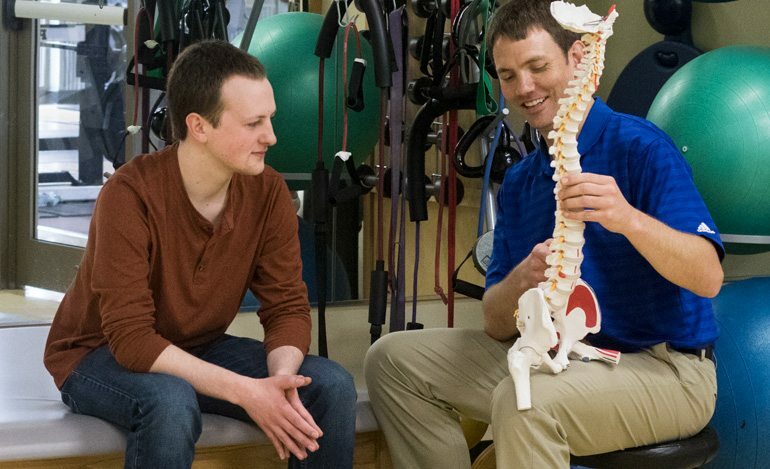 Our physical therapists are committed to providing comprehensive individualized programs for your preventive and rehabilitative needs.